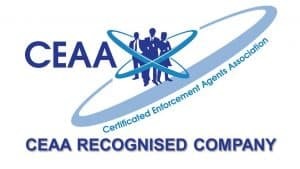 Our Bailiff Training Enforcement Agent Academy allows individuals to obtain the relevant training to obtain a Level 2 qualification in “Taking Control of Goods” allowing them to work within the Enforcement Industry. Successful course attendees will learn the knowledge to be able to pass the exam which will meet the requirement. As a general rule a level 2 qualification should have 40 guided learning hours and only about 16 hours of this would be done in a classroom. The other 24 hours should be made up of pre reading, revision and where possible practical experience. This course involves some pre reading to gain prior learning before attending the classroom based part of the course. There are reading materials for revision based learning hours.